I thought of that this morning when I read this. Sometimes there is nothing to obey and our only task is to maintain a vital connection with Jesus Christ, seeing that nothing interferes with it. 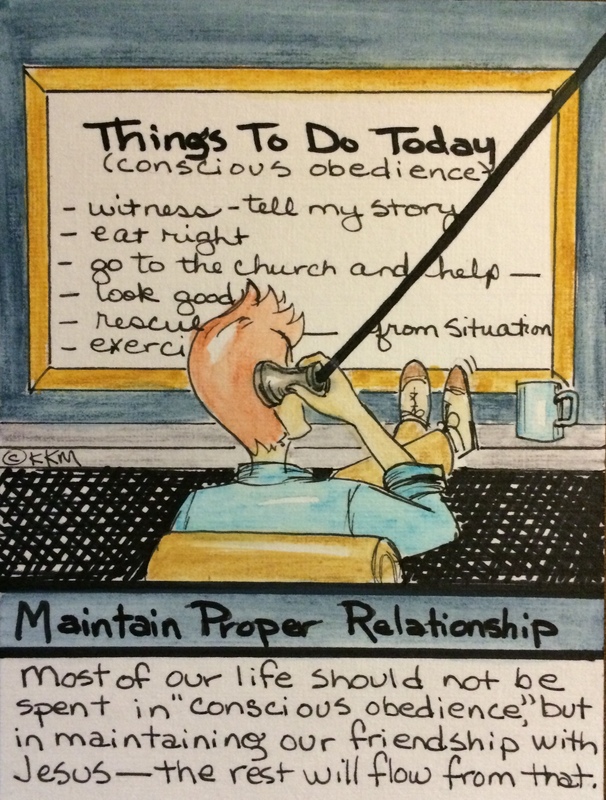 Only occasionally is it a matter of obedience…most of our life is not spent in trying to be consciously obedient, but in maintaining this relationship–being the “friend of the bridegroom.” Christian work can actually be a means of diverting a person’s focus away from Jesus Christ. Instead of being friends “of the bridegroom,” we may become amateur providences of God to someone else, working against Him while we use His weapons.